GROUND-BREAKING NEW SOCK INFUSED WITH THERAPEUTIC INGREDIENTS FOR RELIEF FROM FOOT-RELATED ACHES AND PAINS. GREENVILLE, S.C. — Building on a long-standing commitment to foot comfort, Kentwool, maker of the “World’s Best Sock,” announced today the introduction of a therapeutic sock for foot pain relief. The new SensationWool sock features Kentwool’s signature, superfine Merino wool in combination with Nufabrx® nylon, which is infused with capsaicin and a synthetic cooling agent. This combination of warming and cooling ingredients, similar to those found in over-the-counter pain treatments, provides temporary relief of foot-related aches and pains of muscles and joints associated with strains, sprains, arthritis, bruises, cramps, stiffness and soreness. Kentwool’s SensationWool socks are offered in an ankle-height style and natural color. They are constructed from a proprietary blend of superfine Merino Wool and other natural and high-tech performance fibers, including Nufabrx® nylon, a fiber infused with capsaicin and a synthetic cooling agent. The SensationWool’s pain management features are lab-tested to last through 30 wash cycles, and the incorporated ingredients are cosmetic-grade and safe for regular wear. 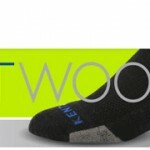 The new Kentwool SensationWool is available now exclusively at kentwool.com and features a retail price of $24.99. The sock is available in women’s MD and LG, and men’s MD, LG and XL sizes. Since 2008, Kentwool has delivered the “World’s Best Sock” from its headquarters in Greenville, SC. Drawing on 175 years of mastery in wool manufacturing, Kentwool leverages the attributes of wool, nature’s performance fiber, for unmatched comfort and performance in the sock category. For more information on the Kentwool brand, visit http://www.kentwool.com.